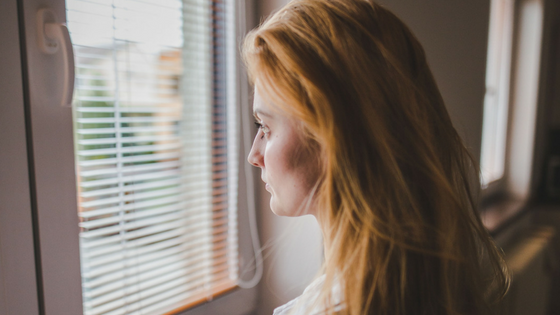 One of the hardest habits to break when you’re a caregiver, and probably the hardest to see objectively, is the tendency to deprive yourself of the care you need to stay healthy, happy and clear-headed enough to honor and pursue your own desired outcomes. The self-deprivation habit shows up in many forms, and is held in place by many different beliefs, some of which have been handed down from generation to generation as “the way things are.” Whatever the particulars are, the effect on you is the same: feeling locked in to dealing with a constant barrage of responsibilities you “have to” handle that leave you more frustrated, stressed, tired and discouraged than you really need to be. Given that subconscious programming, how can anyone see their own patterns clearly, and even attempt to replace those behaviors with more self-loving, self-empowering ones? The first step is self-awareness, which comes from pausing, breathing, and conducting some thoughtful self-inquiry. 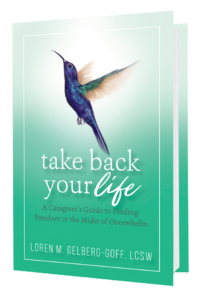 When you can take some time for yourself, you may find it helpful to use some excerpts below from Take Back Your Life: A Caregiver’s Guide to Finding Freedom in the Midst of Overwhelm. A great place to start is to answer the following four questions from Chapter 2. Take enough time with each to think as far back as you can and allow memories, echoes of parental teachings, and any residual emotions from caregiving challenges past, to drift into your consciousness and highlight specifics that give you more important information than you may have realized you have. How did you become a caregiver? Have you always taken better care of others than of yourself? Are you the one who cringes at the thought of placing the oxygen mask over your face first? These are very important questions because they will help you to look at what patterns have developed for you as well as for the people in your life. You’ve created patterns of behavior that others have come to expect and rely on, and they may react with anger, surprise, disappointment, maybe even guilt trips when you express even the possibility of changing your behavior. If you’ve become fearful of others’ reactions to you making changes, then you will not make the changes necessary to take back your power and reclaim your life. This is notabout not caring for anyone else anymore; it’s about making sure you appear on your list of priorities. When you look at your list of responsibilities for any given day, where do your needs show up? Do they show up at all? 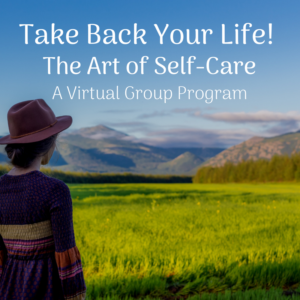 Do you consider taking care of yourself a responsibility you have? All this is hard enough when the person you are caring for lives under the same roof, but what happens when you have to include running back and forth to the other person’s home in your day? Now you have to tack on even more booked time, adding exponentially to your stress and responsibilities. Have any of the following thoughts run through your head? There’s no one else who can do this. It would be too burdensome to have to teach someone else to handle all this. It’s just quicker if I do it myself. He/she won’t let anyone else do this. And the list goes on and on. These are all beliefs that keep you stuck on the path of being and feeling overworked, overburdened and overstressed. By definition, caregivers give and do an enormous amount. Whether you are a family member providing care or a professional whose job it is to provide care, recognizing what is legitimately your responsibility and what is not is critical to your overall health and wellbeing. Courage to be imperfect. It’s important to allow for the reality that you do not have to be perfect. You do not have to do everything, have every answer, and prevent every problem. Allowing yourself to be imperfect takes courage to let go of others’ judgments as well as the judgments you carry within you. Allow yourself the truth and freedom of being perfectly imperfect. Connection. You need the willingness and desire to be genuinely connected to others to prevent feelings of isolation and martyrdom. Vulnerability. Being vulnerable is what makes you beautiful. It is acceptable to not have all the answers. It’s okay to ask for and receive help. You cannot and do not have to do it all. Vulnerability means you are willing to do something and participate even when there are no guarantees for success. It means you can have and express your feelings of uncertainty, upset, frustration, and even anger. Need more guidance and support to make changes in your life from deprivation to compassion? You can start with my Caregiver’s Step by Step Guide to Take Back Your Life. Just click to access your copy of that 3-part audio / transcript / decision-making road map now! As always, I look forward to reading your comments and answering your questions here in the blog – please share your thoughts below.